The Farmworker Student Health Alliance (FSHA) is a student-run organization at the University of North Carolina at Chapel Hill which has been founded for the purpose of improving health outcomes for North Carolina farmworkers through collaboration with UNC medical students, the Comprehensive Advanced Medical Program of Spanish (CAMPOS), the North Carolina Farmworkers Health Program and migrant farmworkers. Farmworkers must deal with the hazards of working in agriculture while facing the challenges of maintaining a healthy lifestyle on a limited budget and schedule. In addition to work-related illnesses and injuries, farmworkers also struggle with chronic illnesses common to all people. Our mission is to collaborate with the outreach workers of the North Carolina Farmworkers Health Program to educate farmworkers in the state about health management and disease prevention, as well as to provide information about local healthcare resources. 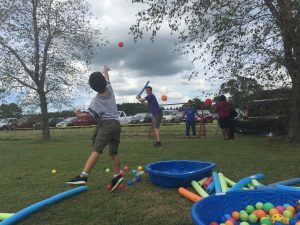 FSHA coordinates large and small group trips to farmworker camps near Benson, North Carolina. We also support the Benson Area Medical Center with translation services at their farmworker clinics. 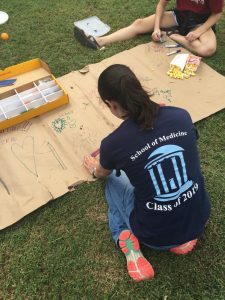 Although our members are primarily medical students, we welcome the participation of students from other programs at UNC, especially those who speak Spanish. For more information about health care for farmworkers in North Carolina, please visit the North Carolina Farmworkers Health Program.